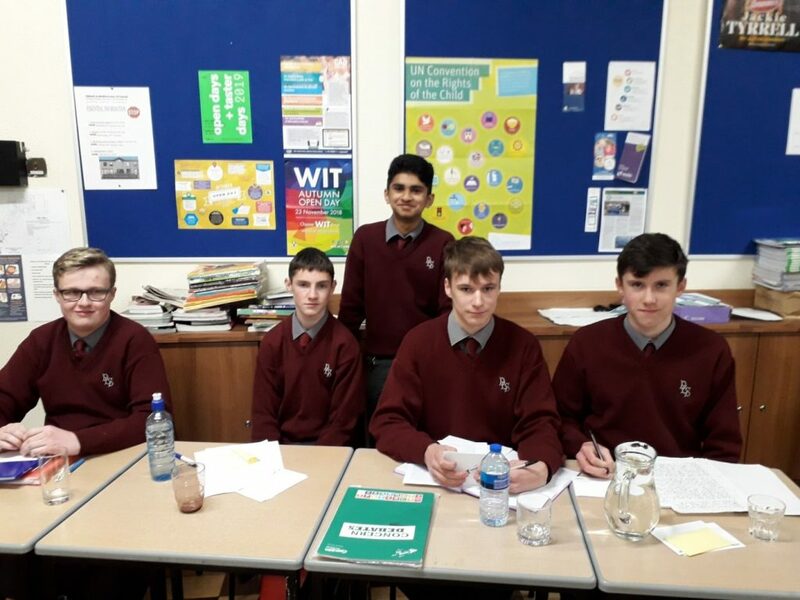 Our senior debaters travelled to C.B.S Kilkenny last night to oppose the motion, ‘Thirty years on the world is still no closer to ending the HIV and Aids epidemic.’ Unfortunately we were defeated to an experienced debating side. This was our first debate of the year and for all our debaters it actually was the first debate they ever competed in. It was a fantastic display from our debaters who put in a tremendous effort. Our next debate is away on the 16th of November against Presentation Secondary School.